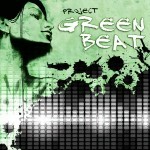 Project Green Beat is a truly unique music-based rail shooter. The core of the game is the music, which is the inspiration for the visuals and the entire flow of each custom crafted level. This is really what makes this game different. It goes beyond just tying events to a beat – the visuals are designed to move with the ebb and flow of the songs as they follow on their journey to the crescendo. The ultimate goal is a fully immersive experience.